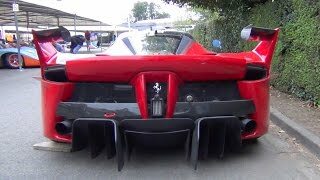 It isn’t long that Ferrari LaFerrari 2014 won a million hearts with it’s unveil that the Finali Mondiali 2014 revealed the all new track monster named, Ferrari FXX K. Model comes with more power as compared to its street legal sibling and also comes with a lighter body and more aerodynamic. To get the best glimpse of it being adored with all special features, only one news from the house of Ferrari is enough and that’s “Ferrari FXX K 2015 will exclusively available for the selected privileged customers”. 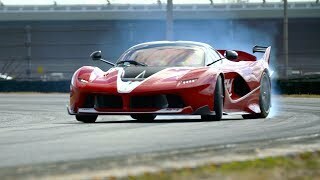 Let us see what makes Ferrari FXX K 2015 so special. 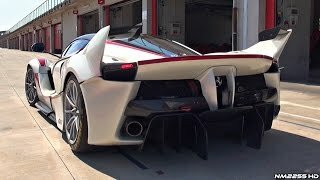 It isn’t long that Ferrari LaFerrari 2014 won a million hearts with it’s unveil that the Finali Mondiali 2014 revealed the all new track monster named, Ferrari FXX K. Model comes with more power as compared to its street legal sibling and also comes with a lighter body and more aerodynamic. 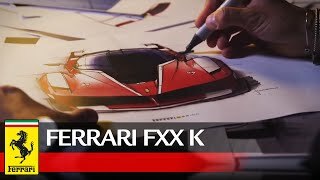 To get the best glimpse of it being adored with all special features, only one news from the house of Ferrari is enough and that’s “Ferrari FXX K 2015 will exclusively available for the selected privileged customers”. Let us see what makes FXX K 2015 so special. The interior of Ferrari FXX K is highly influenced by the fact; it’s a race track model. To serve the purpose Ferrari replaced luxury features from the track concentrated ones. In the same queue stand first in interior is an all new center console mounted with controls covering comfort features like AC till the launch system. Brand new seats have been installed featuring heavy bolstering on its corners, race spec harness and carbon structure. The black interior gets a superfluous touch with the contrasting red stitching and the soft touch dashboard and steering wheel behind protects an instrument cluster with new display options allowing the driver to keep a check of all important car data. A drastic change has been noticed in designing exterior of Ferrari FXX K 2015 in comparison to LaFerrari. Especially the spoiler and splitter giving a model a ferocious look while the standard headlamps which have been now replaced by tiny strips of LED lights. While a black center piece rounds off the front fascia, an all new designed hood portrays vents redesigned to match the class and standard of Ferrari FXX K. LaFerrari’s two piece unit has been replaced by a massive diffuser while exhaust outlets on both ends add to the glory. With the entire changed package massive improvement has been noticed in terms of downforce in the low drag configuration, portraying 50 % improvement and also a 30% improvement in downforce configuration making it much aggressive than its sibling. Powered by a 6.3 Liter V12 engine, Ferrari FXX K 2015 enthralls the streets with whooping 1036 hp and 900 nm torque paired to seven-speed dual clutch transmission. 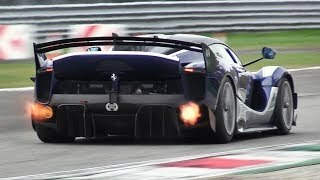 With these mind boggling specifications Ferrari FXX K should reach the top speed of 217 mph while the standstill to 60 mph should be covered in 2.7 seconds.